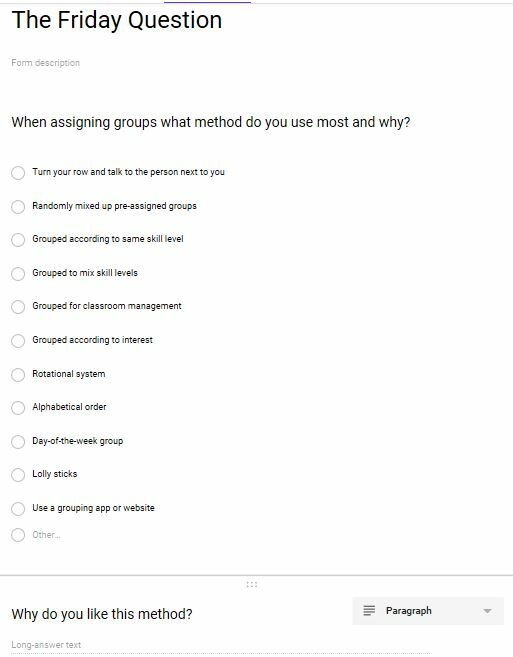 When assigning groups what method do you use most and why? Use the comments to answer. Remember James has promised a bottle of wine.. There are many methods of grouping, one of my favourites for differentiation is �Line it up and fold it�. Ask students to line up in order of how much they know about a topic. Fold the line in half so the least knowledgeable student works with the most knowledgeable and so on. Click on the image below to tell us your favoured method of grouping.